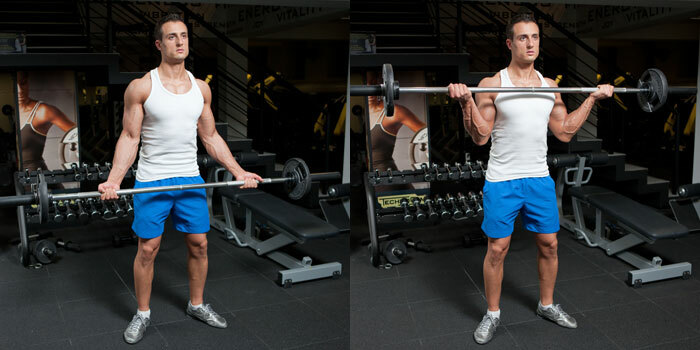 Grasp a barbell with your hands at wider than a shoulder wide using an underhand grip (palms facing forward). Stand upright, with straight back and your feet about 15-20cm. apart with your knees slightly flexed. As you keep your upper arms stationary and close to your body inhale and start to curl the weights up and forward until you reach a fully contracted position. Hold for a second, squeeze your biceps and lower the weight in controlled motion back to the starting position.